The music launch of Arya's next movie Meagaamann is all set to happen on the 14th of August. The movie, directed by Thadaiyara Thaakka fame Magizh Thirumeni, has Thaman's music. Hansika plays the female lead in the movie. It is to be noted Meagaamann will be Arya - Hansika's second outing after their 2013 flick Settai. 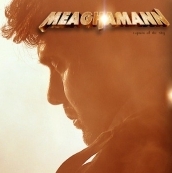 Meagaamann is produced by Nemichand Jhabak and Hitesh Jhabak and is cinematographed by S R Satishkumar. Arya Travels Across The Country In Meagaamann. People looking for online information on Arya, Hansika, Meagaamann, Meaghamann, Thaman will find this news story useful.